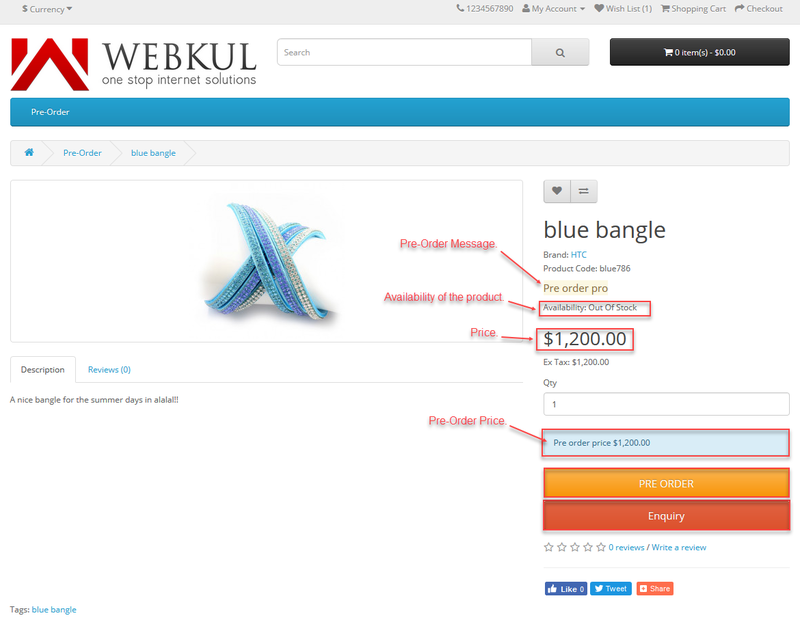 Opencart PreOrder module helps to make a product as PreOrder. Using this module customer can order out of stock products. This module provides the ability of Full payment or percentage payment for Preorder products. The customer can add only one PreOrder product at a time. Opencart Pre Order Pro is also available as Marketplace Pre-Order. Buyer can order out of stock products. 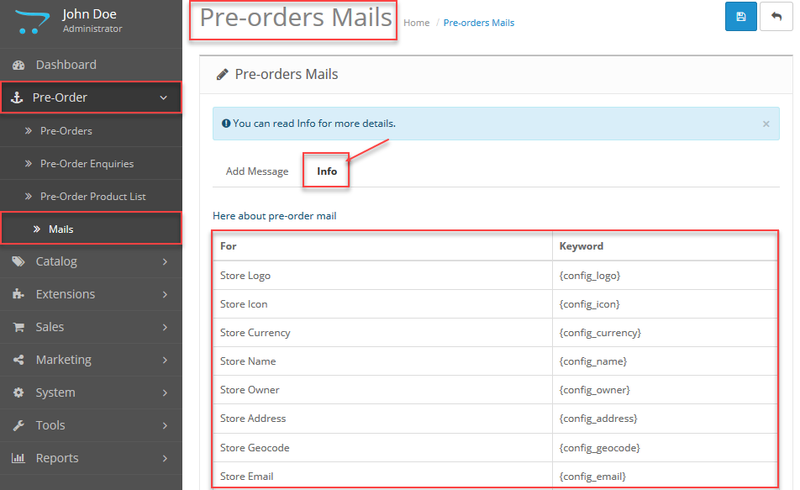 Admin can set the custom message to display on the preorder product. The admin can set the pre-order product stock status. 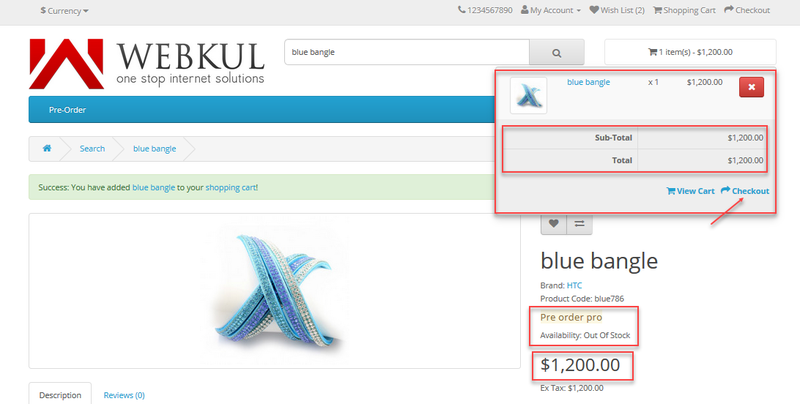 The admin can set the pre-order text displayed on the add to cart button. 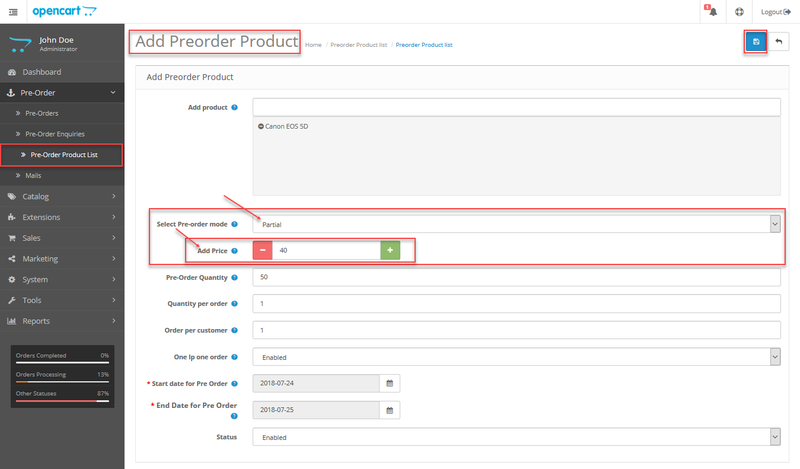 Admin Can set custom percentage of the amount to be paid for preordered product. Using this module customer can pay full or partial payment. 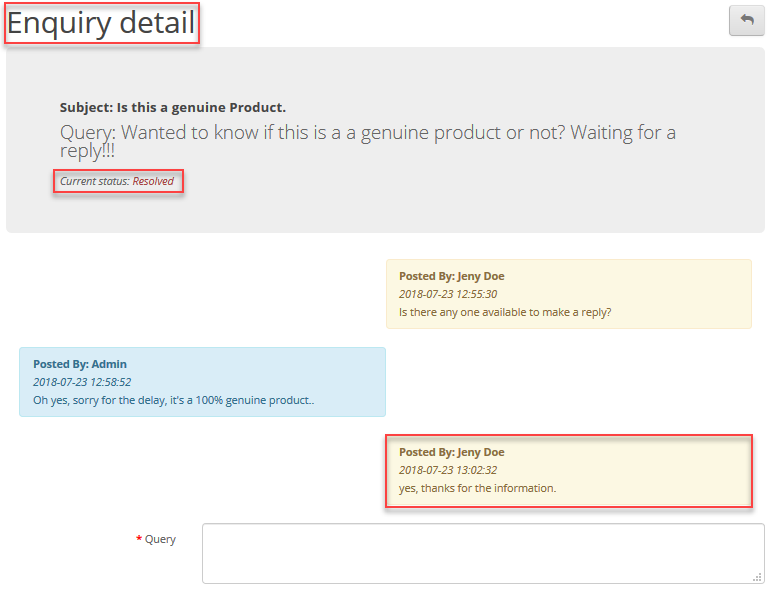 The customers can enquire about the pre-order product from the preorder product page. 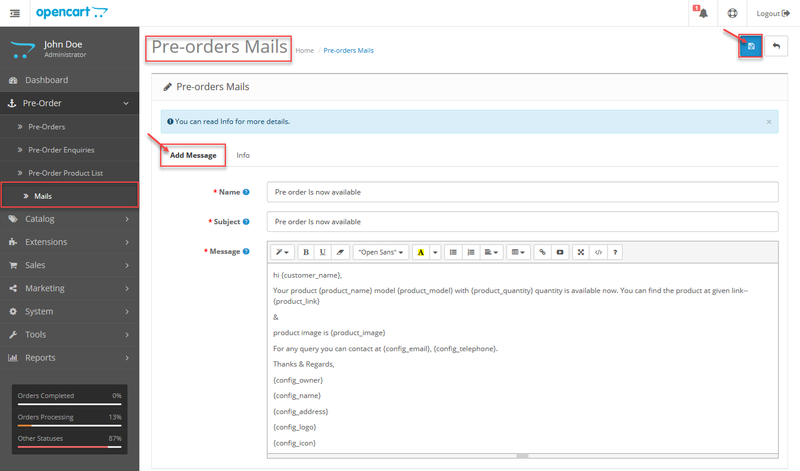 Admin can check Pre-order and Pre-order enquiries in the admin panel. Admin and customer can receive notification mail. Admin can set the mode of notification like Automatic or Manual. Customer Login is essential for Preorder of any product. When admin will add any product for PreOrder then it will become out of stock automatically. Installation of the Opencart module is very simple. After you unzip the main module directory, you will find admin, catalog, theme patch and ocmod folders. You just need to move admin and catalog folder into the root directory of your Opencart website. Once you have uploaded the file then login to admin and from catalog section go to Extensions> Extension installer and upload the xml file. The xml file can be found on ocmod folder under module directory. Under the ocmod folder you will find the folders for different opencart version. You just need to select your version and upload the xml file. After uploading the file, navigate to Extensions > Modifications and click on refresh button on the right-hand side. 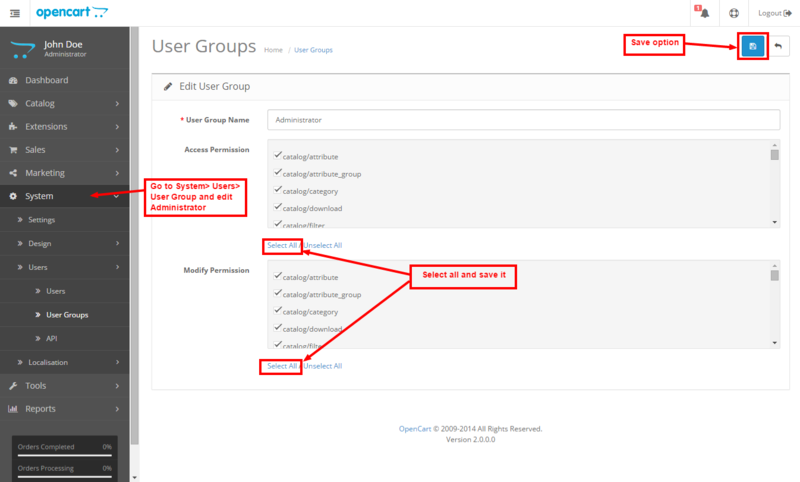 After that, within the admin panel go to System -> Users -> User Groups and edit ‘Administrator’ and choose select all for both Access and Modify Permission and save it. After that, navigate to Extension->Modules and then install the Pre-Order module by clicking on the Install button. Step 1: Go to Googles reCAPTCHA page and click on the myRECAPTCH button on the right. 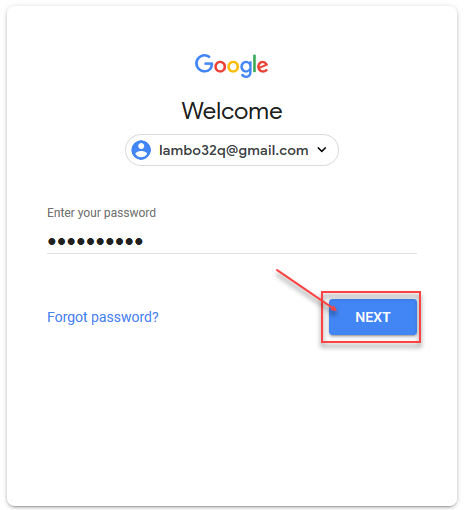 Step 2: You must have a Google Account to login. Enter your Gmail user name, password and click the Next button to proceed further. Enter a label that will make it easy for you to identify the site in future. 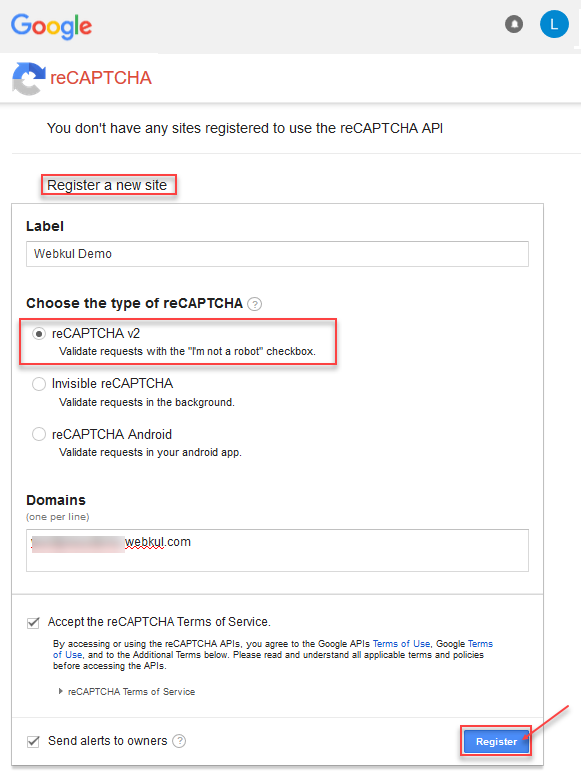 Choose the type of reCAPTCHA as – reCAPTCHA V2. Enter the Domain name(registration for domain.com also registers subdomain.domain.com) where you want to use it. Accept the reCAPTCHA Terms of Service by checking the checkbox. Lastly, click the Register button. Step 4: Now, you will have the reCAPTCH Site Key and Secret Key. To configure the module for use, navigate to Extensions>Modules>Pre-order Pro and click the edit button as shown below in the snapshot. This brings up the section to show the General and Mail configuration settings as per the snapshot below. Enable the status of the extension for use. Enter the Google re-captcha Site key. Enter the Google re-captcha Secret key. Enter the text that will be your Add to Cart button label text. Enter the text that you want to display on the product page. Select what would be the preferred mode of notification – Automatic, Manual or both. Select the status – when the automatic notification will be sent to the buyer. 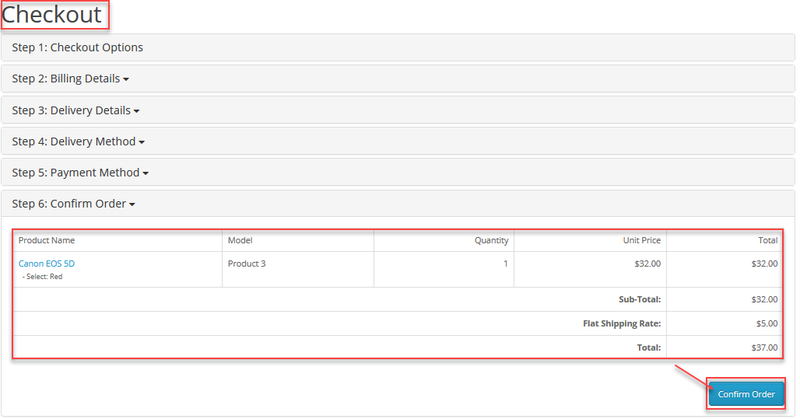 Select the stock status which will be applied when the products is being set as a pre-ordered product. Find the Mail Keywords that can be used to configure the various mails. Select the mail which will be sent to notify the customer about product availability. Pre-Order email: Set this as enabled if you want Pre-Order email other that opencart update email else select this as disabled. Admin Email: Enter the message that you want to sent to customer on Pre-Order with order mail. Lastly, click the Save button at the top right-hand side. To add the products for preorder, the admin needs to navigate to Pre-Order->Pre-Order Product List. Here, under the Pre-Order product list section, the admin will find all the created Pre-Order products if any. 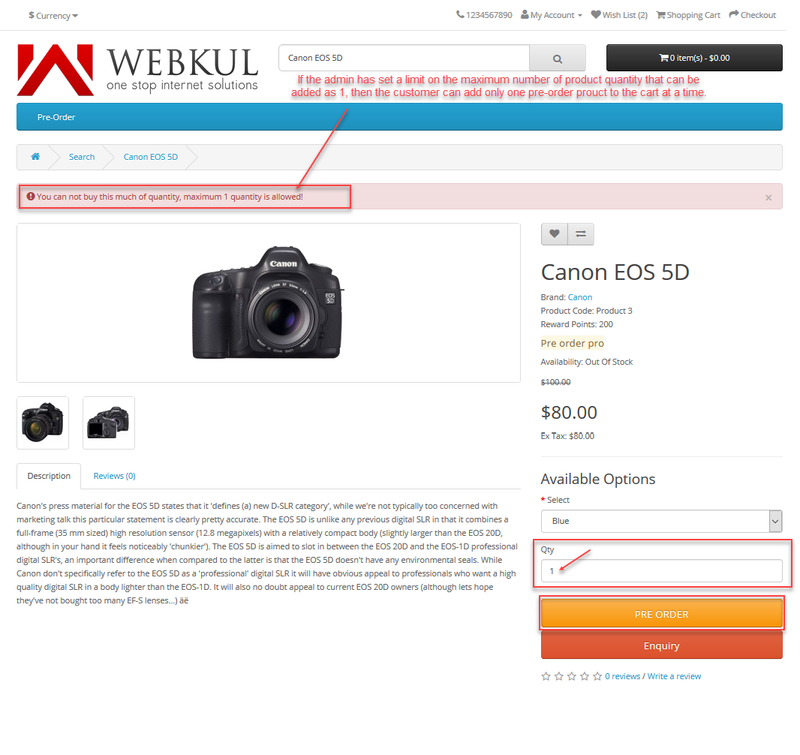 The admin can also add a new Pre-Order product and delete/edit any already created one. To add a new Pre-Order product, click on the Add button at the top right-hand corner of the Pre-Order product list page and this opens a page to add a new one. 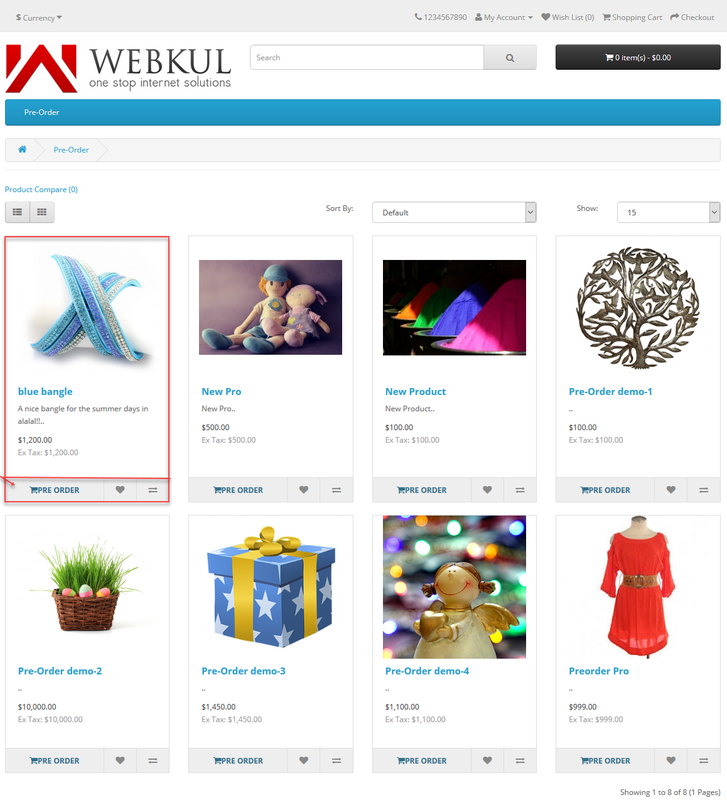 Search and select the product within your product catalog to which you want to add the Pre-Order. Select Pre-Order mode as – Full. Set the Pre-Order quantity that will be available for this product. Make it as ‘0‘ or empty to allow unlimited quantity for pre-order. Set the Quantity per order that will be contained within a single order. Make it as ‘0‘ or empty to allow unlimited quantity of products per order. Set the number of orders a customer can place. Make it as ‘0‘ or empty to allow unlimited quantity of products per order. Enable the option One IP one Order option so that the same IP address can not place multiple pre-order. Select the Start Date for the pre-order. Select the End Date for the pre-order. Select the status as Enabled or Disabled. Lastly, click the Save button top to save the pre-order product. Add Price – Entered percentage of price of product will be taken initially and the remaining when the pre-order will be complete. Under this section, the admin will find a list of all the pre-orders that have been placed by the customers. The admin can delete any of the orders from the list by selecting an order and clicking the delete button at the top right-hand side. 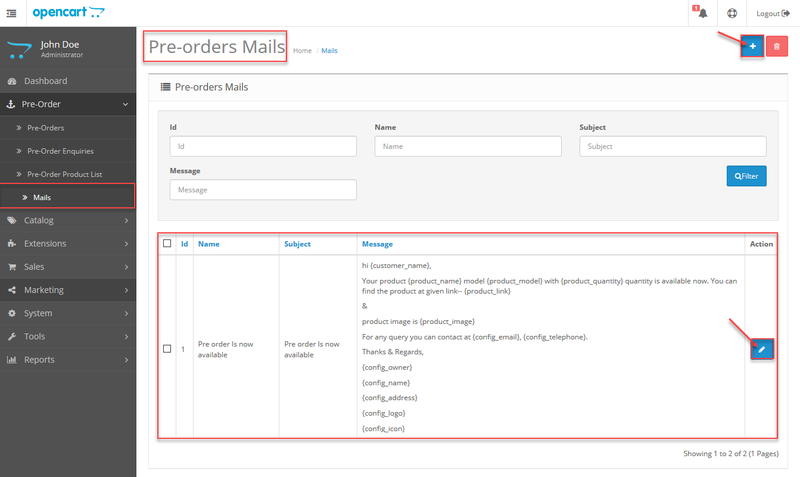 The admin can filter the results for the pre-order list using the – Product Name, Customer Name, Customer Email, Notification Status, and Status. As per the selection made in the configuration settings for the notifications, the admin can choose the mode of notification as Automatic, Manual, and Both. In the case of automatic, the notifications are sent automatically to the customer on the particular event. In the case of manual selection for the notifications, when the admin reaches the Pre-orders section, he can see a Notify button at the top right-hand side. Here, the admin can check the check-boxes of the customers whom he wants to send the notifications to and click the Notify button. After this, click OK on the pop-up to send the notification. Now, you can see the notification has been sent to the customer with a success message. In case both is selected for the notifications, then the admin can send notifications manually as well apart from the notifications that are sent automatically to the customers for whom the notifications have not been sent automatically. The admin can check all Pre-Order enquiries of customers by navigating to Pre-Order->Pre-Order Enquiries. 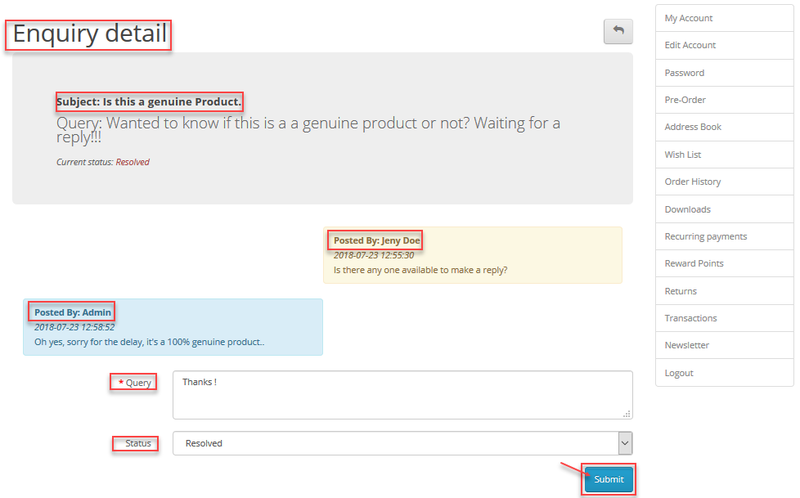 The admin can also filter the enquiry list using the Customer Name, Email, Status, Subject, and Product Name. The admin can also delete the enquiry list as required. 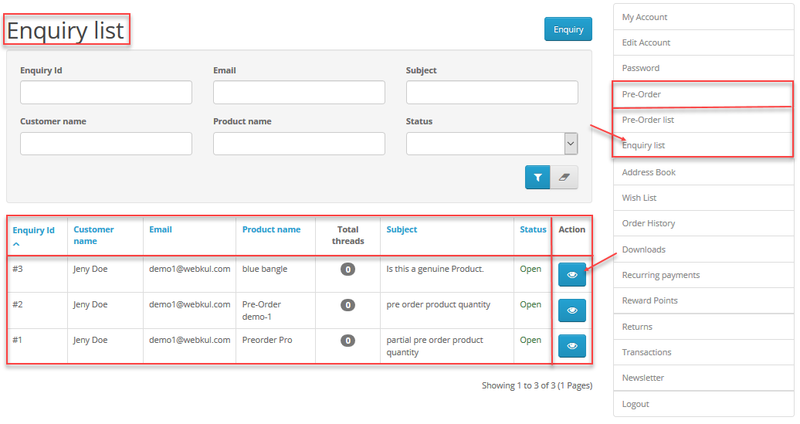 To view an enquiry, just click the View button under the Action column for the particular customer. Here, the admin can revert back to the customer’s enquiry by entering the query and selecting the status as Close or Resolved as required. To reply back, the admin will enter the query and select the current status as open/resolved and lastly, click the Submit button to send in the reply to the customer. After sending the reply, the admin can see the complete conversation. Under this section, the admin can create the pre-order emails. The admin can also filter the emails using the Id, Name, Subject, and the message and edit the created emails. To create one click on the Add button at the top right end corner. This brings up the section to create the email as shown below in the snapshot. Name: The entered name will display at the time of selection. Message: Add the mail message. Before saving the mail, you can check the info. section tab. Here, you will find various keywords that you can make use of within your emails. Lastly, click the Save button to save the mail. 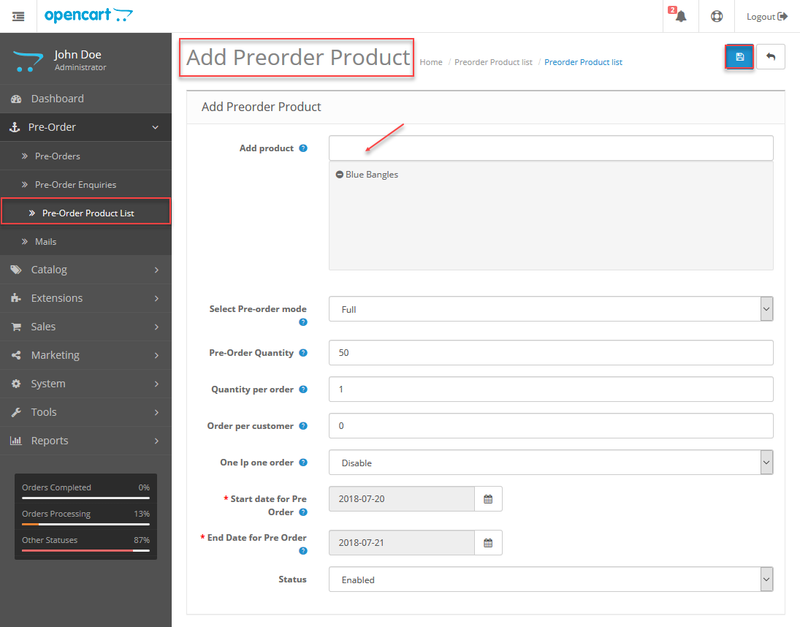 The customers can see Pre-Order option for the available Pre-order product on the category page. 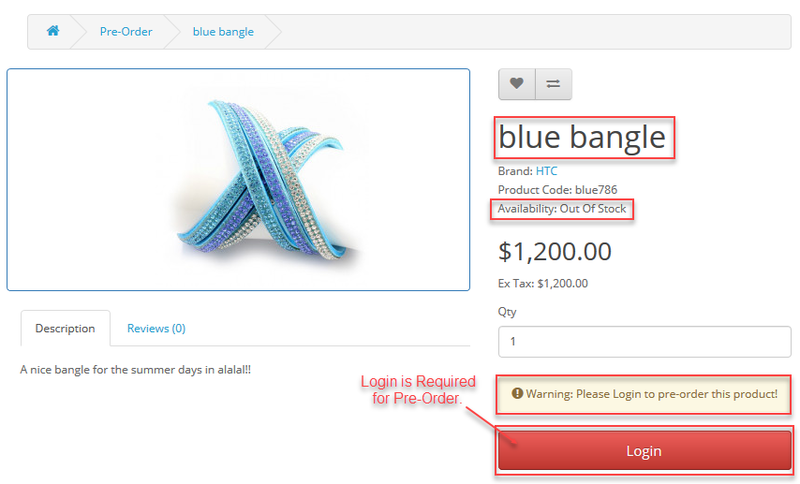 When the customer will go to the product page they will find a “Login” button, if they already haven’t logged in. Click the Login button to log in. Please note that Login is required for pre ordering a pre-order product. After login, go back to the pre-order product and you will see the Pre-Order button. As this pre-order is type – full, the customer will have to pay the complete cost at a time. And when the product will be in stock the product will be shipped to the customer directly. Clicking the Pre-Order button will add the product to the cart. Now, click the checkout button to proceed further. On the checkout page, click the Confirm Order at the last. Now, whenever the pre-order product availability date arrives the product will be shipped directly to the customer’s address. As it’s a partial payment pre-order product, you will see the message displayed that “Pre Order price – 40% before completion of the Order” and that would be $32. Depending upon the percentage set by the admin in the back-end configuration settings, this message gets displayed. 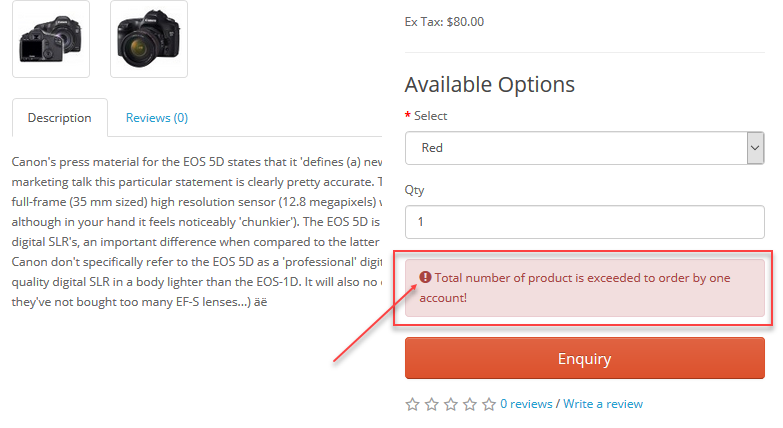 If you add more than what is set by the admin as maximum product quantity, you will see an error message that “You can not buy this much of quantity, minimum 1 quantity is allowed ” as shown below in the snapshot. 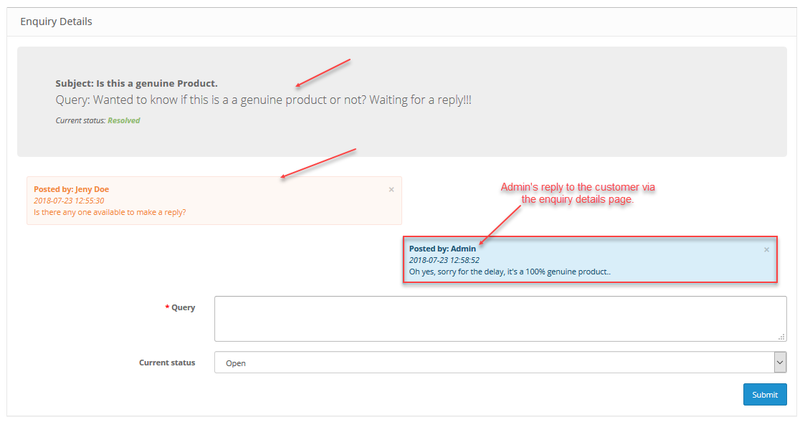 If the admin has set a limit on how many orders a customer can place, like – the admin has set the limit of 1 order per customer then when the customer goes for purchasing the same pre-order product again a message will be displayed. Now, select options if any for the product and click on the Pre-Order button to add it to the cart. 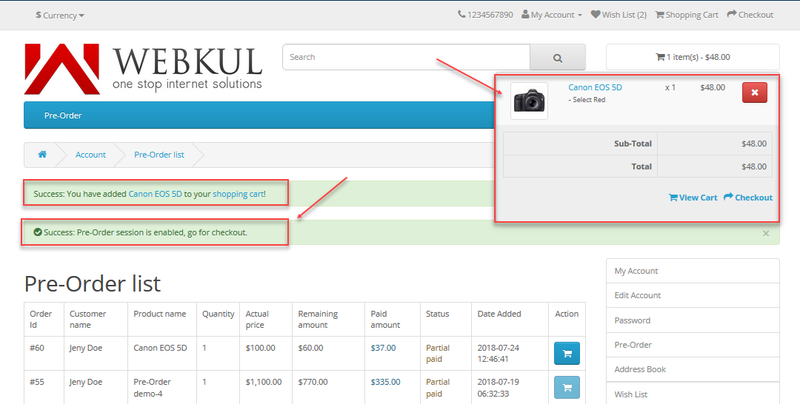 Click on Checkout and lastly, click on the Confirm Order button as shown below. 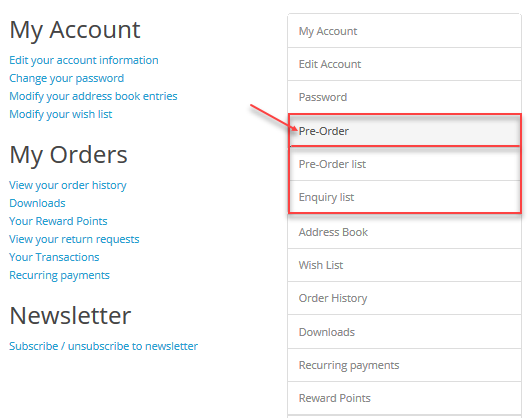 To check your pre-orders navigate under your account panel to Pre-Order Pro->Pre-Order Lis. 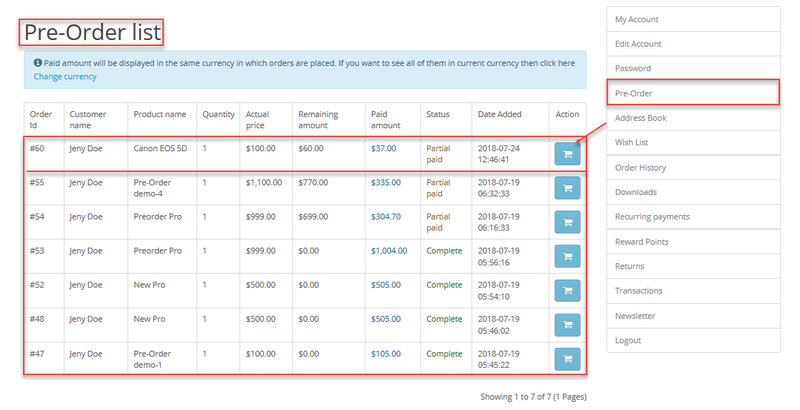 In the image above, the order Id 60 has done the partial payment and under the Action column, the add to cart button is inactive. Now, when the product gets in stock this in-active button will become active so that the customer can add the product to cart and make the rest of the left-over payment. 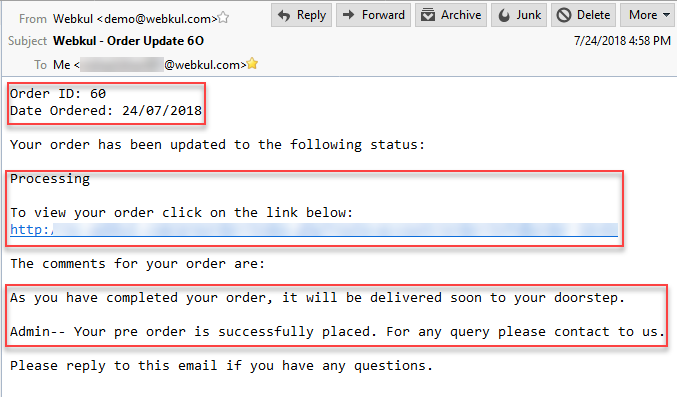 Also, at this time when, the product gets back in stock an email notification for the same is sent to the customer as shown below in the snapshot. Add to cart button is active after the product gets in stock. For the partial paid amount, whenever that product comes in stock the customers will receive an email to complete their payment for that pre-order product as per the snapshot below. 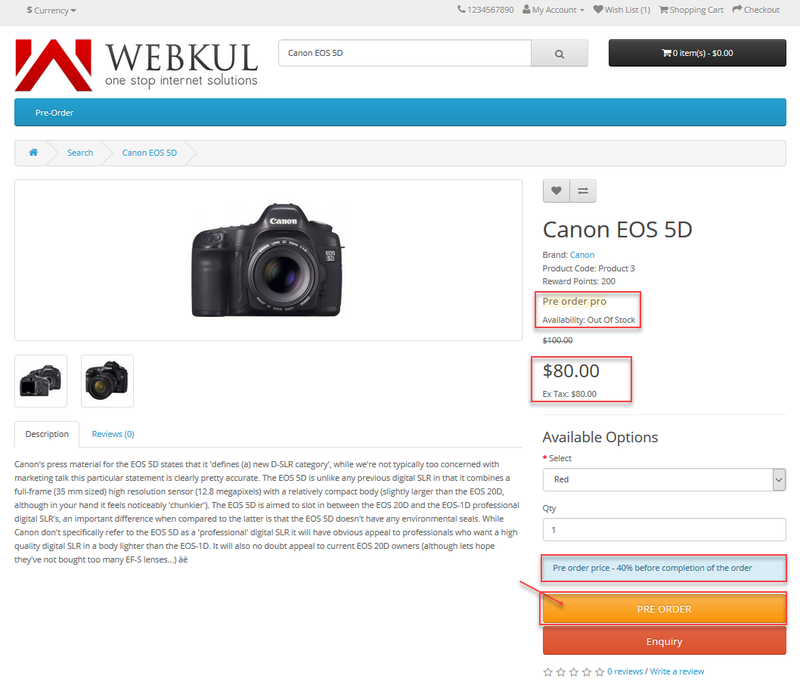 Customers can click on the add to cart button to make the rest of the payment. This adds the product to the cart and the pre-order session gets enabled. 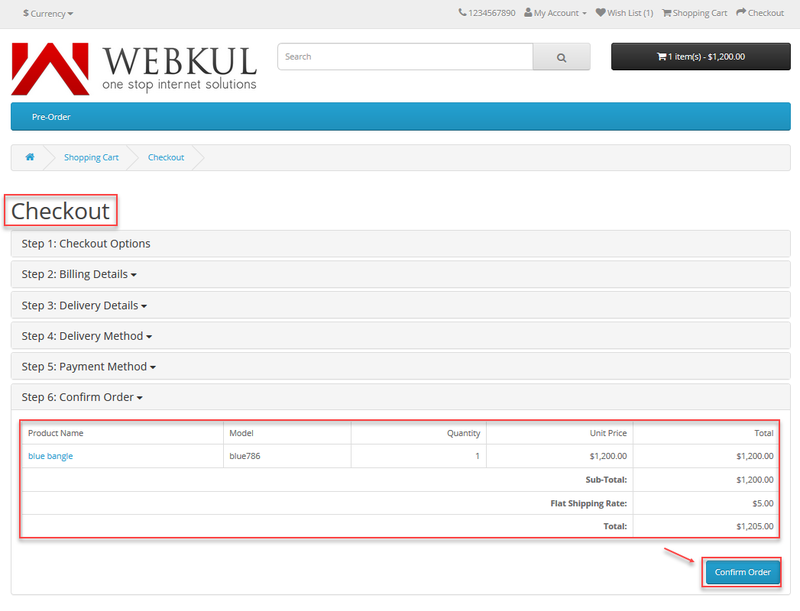 Now, the customer can make the checkout by clicking the checkout button within the shopping cart. Clicking the checkout button will bring the checkout page, here click the Confirm Order button to complete the purchase of the pre-order product with partial payment. 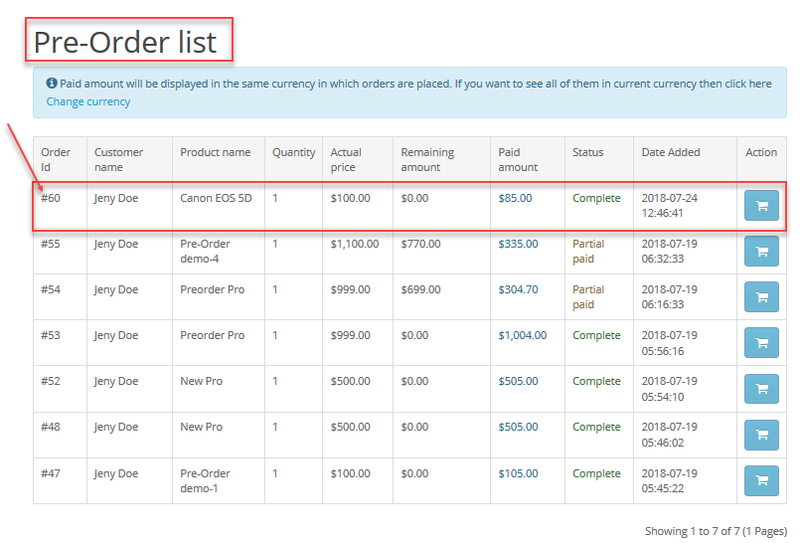 Lastly, navigate to the Pre-order List section to check the status and remaining amount for the partial order. 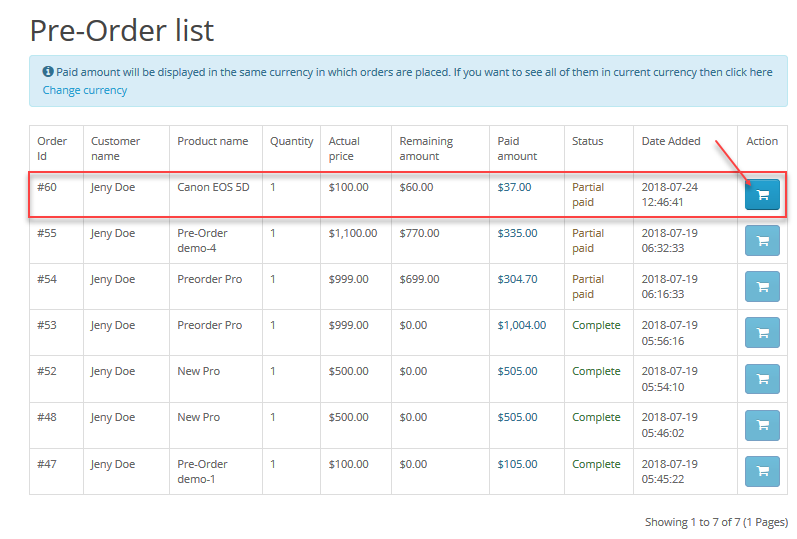 Under the Pre-Order List, the customer will be able to see all the orders that he has placed for the pre-order products. The customer can find the details related to the pre-order such as – Customer Name, Product Name, Quantity, Actual Price, Remaining Amount, Paid Amount, Status, Date Added,and the Action button. Note: The action button(to add the pre-order product to cart) gets activated when the pre-order products gets in stock in the case of partial payment. 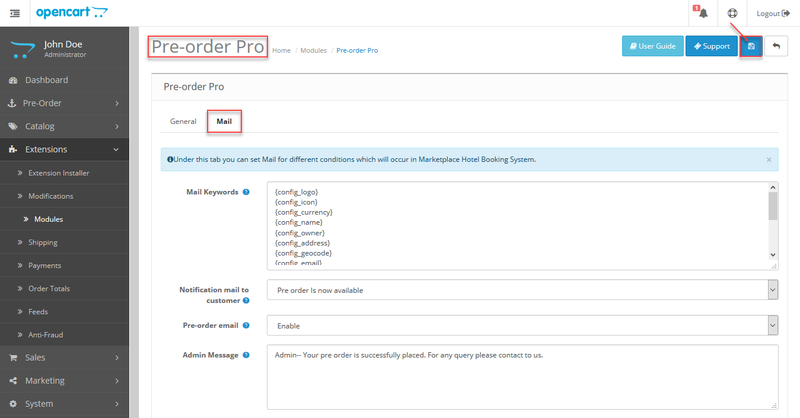 Customers can send enquiries to the admin related to the pre-ordered product from the pre-order product page and can reply back to the admin from the Enquiry list. On the pre-order product page click the Enquiry button to send an enquiry to the admin regarding the current pre-order product. 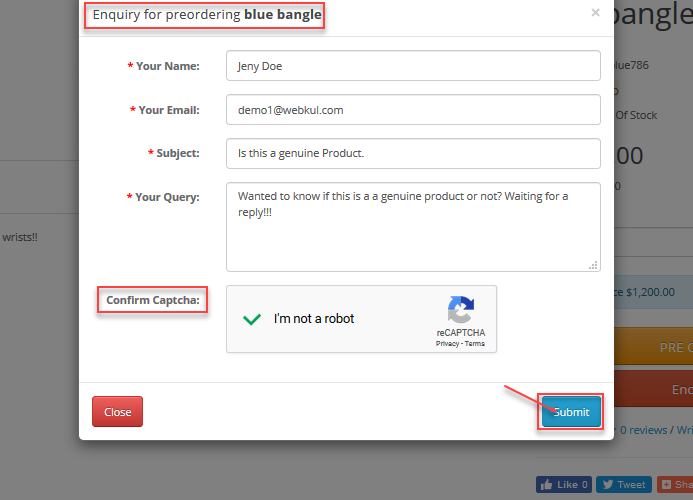 Now, enter your subject and query regarding the pre-order product, confirm the captcha, and click Submit button to send query regarding this particular product to the admin. Here, the customers can check all of the enquiries they have made in relation to the pre-order products. The customer can filter out their enquiries by making use of the – Enquiry Id, mail, Subject, Product Name, and Status. To view a particular enquiry, click the View button to the right of an enquiry and the below page shows up. Here, the customer can see his sent enquiry for the pre-order product. Customer can make a response to already sent query by entering it within the Query field, selecting the status and clicking the Submit button. After clicking the Submit button you can see the sent queries and can make the status as Resolved. That’s all for the OpenCart Pre-Order Pro. Still, have any issue feel free to add a ticket and let us know your views to make the module better webkul.uvdesk.com. Hi…Please let me know whether this will work for OCMOD 2.0.3..1. If yes then will it integrate as per steps shown in this site or need any cutomization. Also is there any refund policy if the module doesn’t work then. I am not using default theme. I am using Pavbeeshop theme and OCMOD 2.0.3.1. Will your module work for me. Thanks for the quick reply, I just pay and install the extension by upload both admin and catalog folder to the root, follow your installation guide here, and after I enable it, add a product and test it, I cannot find the pre order menu under the backend daskboard, and I cannot find the pre order button in the product page, and I cannot pay for the pre order product. just like nothing has changed. After I upload the xml file to the extension installation, I can find the Pre-order in the admin left menu now, my major issue is how to make it works in Journal 2 theme, I’ve already upload the precartmail.tpl and precart.tpl to my custom theme folder, anything else I need to do/modify to make it works? Can this extension support OC 2.0.3.1? How to buy this Version 2? The “buy from store” option ends in the previous version..